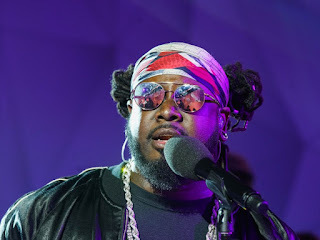 ATLANTA, GA – T-Pain and his bodyguard Carlos Aleili Flores were stopped at the Hartsfield-Jackson Atlanta International Airport on Friday (August 31) when TSA discovered a gun in T-Pain’s carry-on bag, which Flores was carrying at the time. Officer Brown at the Atlanta Police Department confirmed that security guards found a loaded Smith & Wesson .380 inside his luggage. The Grammy Award-winning artist was taken aside by TSA agents for questioning. As the incident was unfolding, Mr. Tallahassee Pain shared an Instagram photo of a City of Atlanta gun case and revealed his trip to Lubbock, Texas just hit a snag. while going through the main domestic checkpoint, a firearm belonging to Faheem Rashad Najm (T-Pain) was located in a grey backpack carried by Carlos Aleili Flores. Flores was identified as Najm’s bodyguard. Flores was detained at that time.